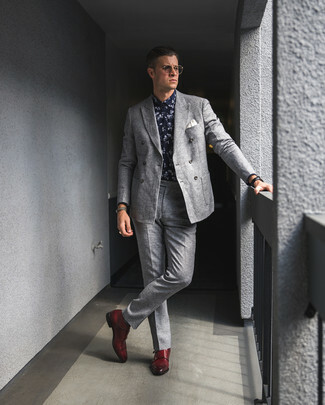 If you're on the lookout for a casual yet stylish getup, make a grey wool suit and a Paul Smith multistripe pocket square from Nordstrom your outfit choice. Both garments are totally comfortable and will look great together. If you're on the hunt for a casual yet on-trend outfit, consider wearing a navy suit and a Paul Smith multistripe pocket square. Both items are totally comfortable and will look great paired together. Channel your inner Ryan Gosling and rock a pair of black leather brogues to class up your look. We're all seeking comfort when it comes to dressing up, and this combination of a navy blazer and a Paul Smith multistripe pocket square from Nordstrom is a great example of that. Black leather tassel loafers will add elegance to an otherwise simple ensemble. If you prefer practicality dressing when it comes to fashion, you'll love this easy combo of a tan plaid blazer and a white pocket square. If you're a fan of functionality dressing when it comes to fashion, you'll love this easy pairing of a navy vertical striped double breasted blazer and a Paul Smith multistripe pocket square. Up the cool of your getup by finishing off with burgundy leather oxford shoes. 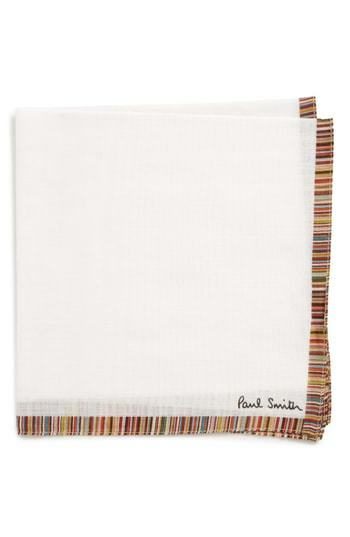 A black suit and a Paul Smith multistripe pocket square is a wonderful combo to add to your casual lineup. 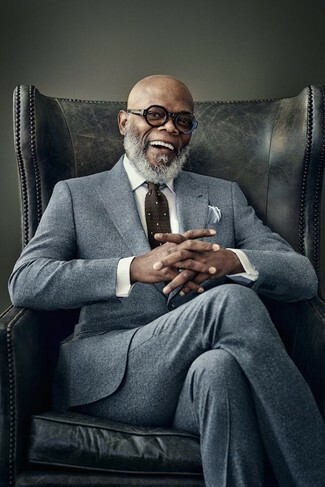 If you don't like putting too much effort into your looks, wear a grey wool double breasted blazer and a Paul Smith Multistripe Pocket Square. 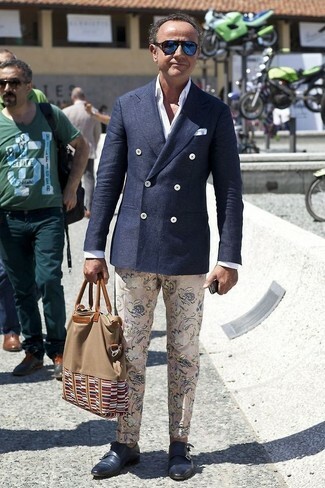 For a modern hi/low mix, complete this ensemble with red leather double monks. If you're on the hunt for a casual yet stylish ensemble, consider pairing a navy wool double breasted blazer with a Paul Smith multistripe pocket square. Both pieces are totally comfortable and will look great paired together. Got bored with this look? Enter navy leather double monks to switch things up. If you're all about being comfortable when it comes to fashion, this combination of a blue blazer and a Paul Smith multistripe pocket square is what you need. Channel your inner Ryan Gosling and opt for a pair of tan leather derby shoes to class up your outfit.